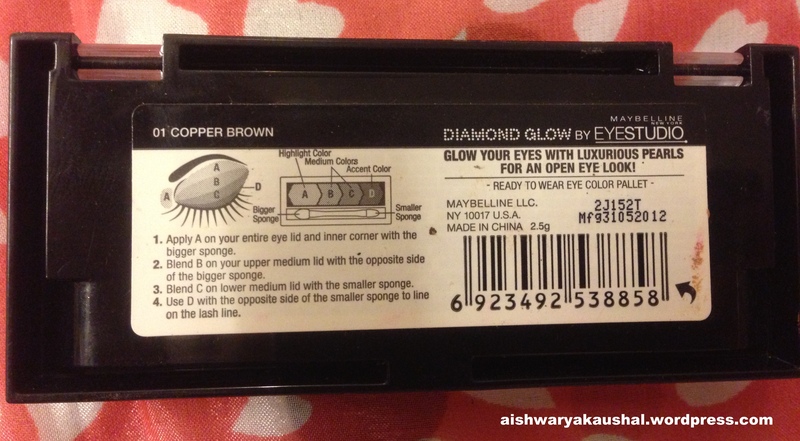 •Glow you eyes with diamonds with the creamiest powder shadow ever launched by Maybelline NY! If you are looking for an easy neutral palette, then this could be your pick. It consists of 4 shades ranging from a creamy shimmery beige to a dark brown. All the shadows have a pearl/metallic finish. None of them are matte. 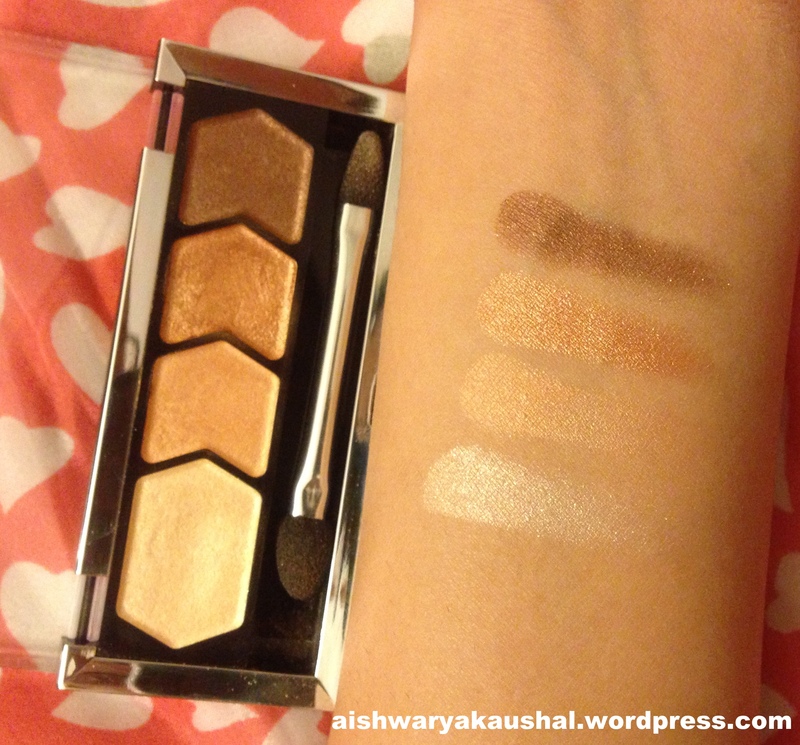 This could be a go to eye shadow quad for college girls and for working women as it has shades that complement each other well and hence this helps to get ready quicker. It has 4 shades of copper/brown. The packaging is sturdy and shuts with a click. The first shade ( A ) is very shimmery. I like to use it for highlighting the inner corner and under the brow bone. Sometimes I will just wear mascara and highlight using this shade and manage to look fully awake and beautified. The second shade ( B ) has a pearl finish. Slightly darker skin tones can also use this as a highlight color. 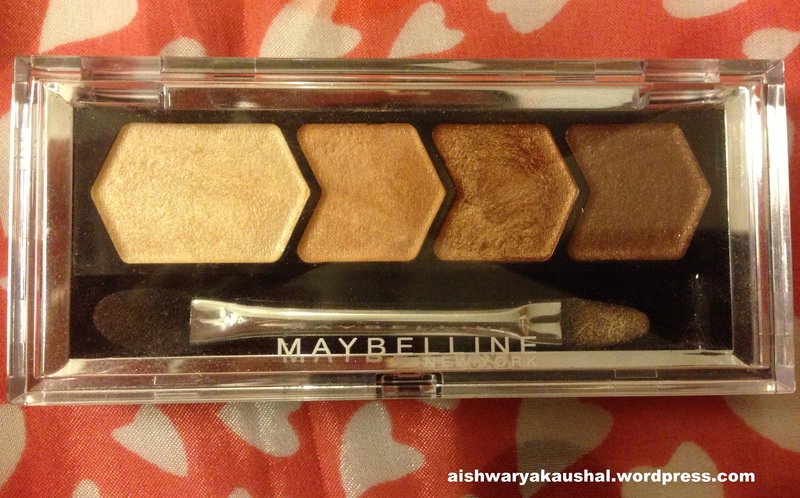 It has very fine golden shimmer and looks beautiful under the brow bone and all over the lid. 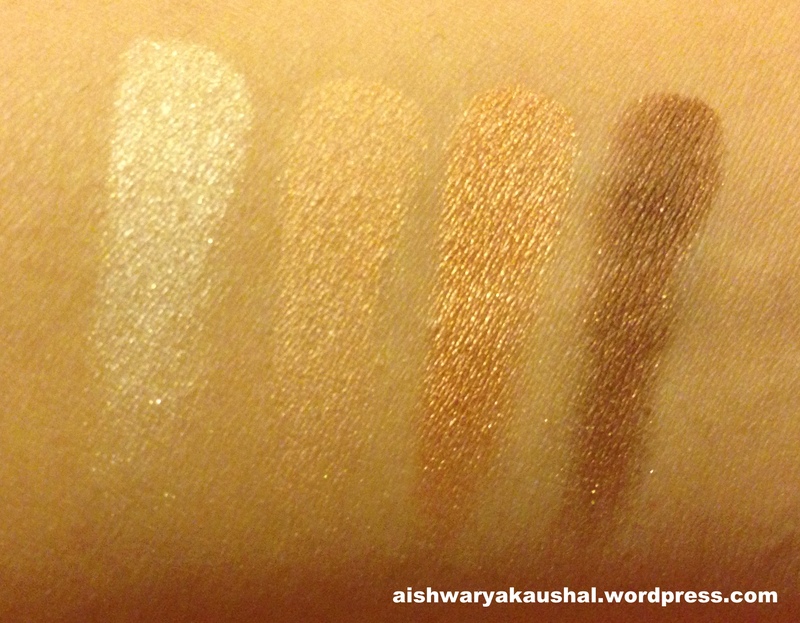 The third shade ( C ) is my favorite shade in the palette. 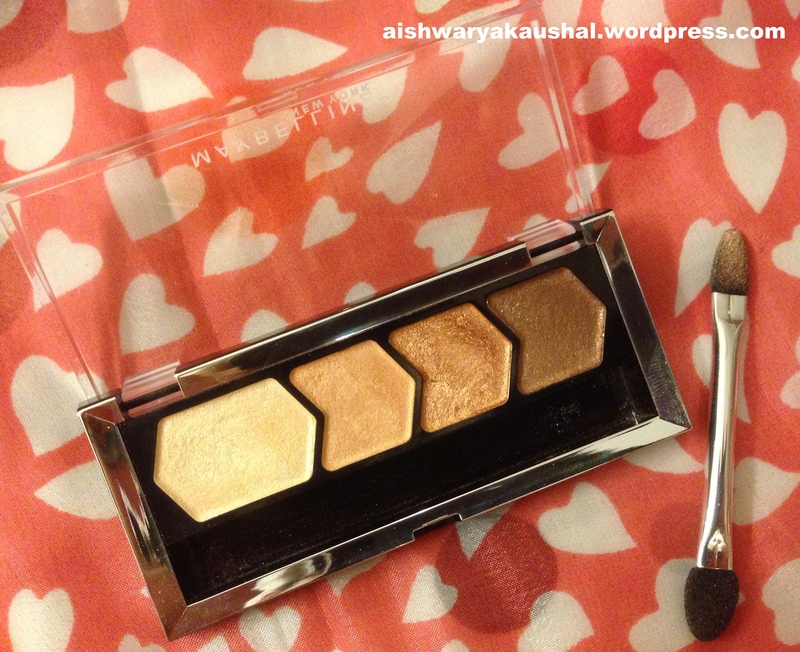 It is a beautifully pigmented shade of rose gold. I use this all over the lid. 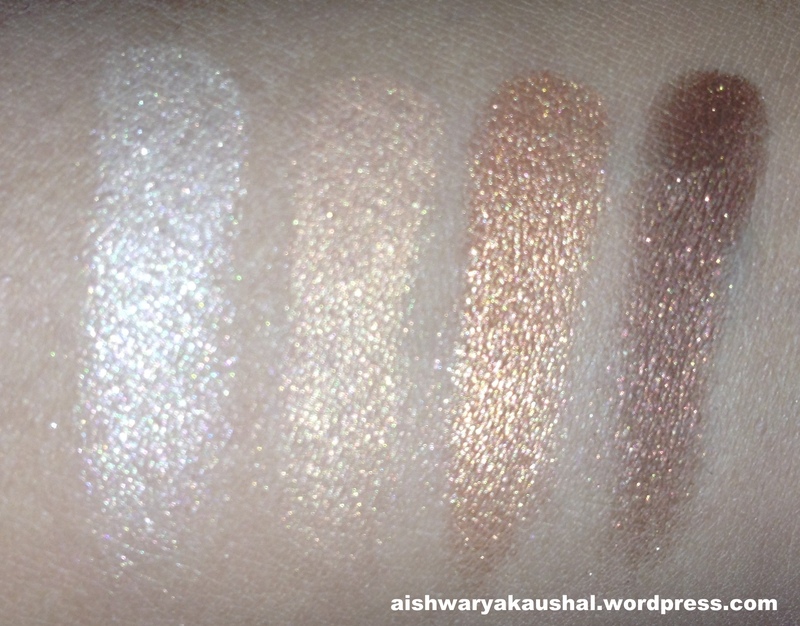 The fourth shade ( D ) is a dark brown with fine golden shimmer. It is not as pigmented but I like that because it gives a very soft look. I like to use in the outer ‘V’ of my eyes and under the lower lash line to create some depth. Since they are so soft and easy to blend, there is no fallout. However, if you want them to last long, I’d advise using an eye shadow primer underneath. 2. Easy to wear to college/work. 4. Soft and easy to blend. 1. A tad too expensive.